The successful results of Dr. Bittar's patients reveal the skill he has and the attention he pays to each patient's goals and overall well-being. This Chicago cosmetic surgeon's expertise and high quality service are also professionally rewarded, as Dr. Bittar has been named "Top Doctor, Chicago Metro Area" several times by a peer-published review. Certified in both plastic and reconstructive surgery in Chicago, this cosmetic surgeon specializes in body contouring procedures like liposuction, tummy tuck, and breast augmentation, as well as facial enhancement like facelift, blepharoplasty, and rhinoplasty. Also offered by his staff in LaGrange is Botox®, Photofacial Rejuvenation, and other non-invasive skin improvement treatments. Dr. Bittar is dedicated to working with patients in order to help them actualize their unique goals of aesthetic treatment. He and his highly experienced staff deliver a service not only with exceptional medical talent, but also with compassion, consideration, and comfort. The doctor's experienced staff includes a certified Physician's Assistant who possesses a masters from Finch University/Chicago Medical School. She assists Dr. Bittar during your consultation, surgery, and through all of your post-operative care. Skin care procedures like microdermabrasion and chemical and laser treatments are performed by a trained Clinical Care & Laser Specialist. She will design a custom treatment plan for your unique skin care needs. 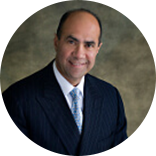 Bittar Aesthetic Surgery of LaGrange offers Complimentary Consultations. At your first visit to Dr. Bittar's office, you'll meet personally with the doctor for an educational consultation that includes a thorough question and answer discussion, medical history, and exam. You'll also discuss price information in detail. While this office doesn't offer financing options directly through their office, they certainly accept payment via independent financing companies. We can help you apply for financing when you call for your consultation. To create balanced results, Dr. Bittar takes into account your features, dimensions, and goals when planning for plastic surgery.